If you are here to learn more about Google Adwords, you have come to the right place. Keep reading to understand why Google Adwords is a great way to boost your ROI in 2019. 2019 is an excellent year to start using Google Adwords, or Google Ads, according to the latest Google naming. Google Ads, in addition to being a powerful platform that enables you to target billions of users on hundreds of media channels, is also a great option for skyrocketing your ROI and increasing your conversion rates. Many companies using Google Ads have seen an up to 10x increase in return on investment over a period of only 6 months. In simpler terms, they invested X amount of money and made 10 times more. However, many business owners are still scared of diving it into Google Ads, and are afraid to leverage the power of this platform. The reasons are obvious: the complexity of Google Ads is out-of-this-world. Setting up a campaign is easy, but only experts can optimize it to boost your ROI. Thankfully, at Black Light Media, we have experienced PPC managers who can take any type of campaign and transform it into a successful one. Below, we will show you why you should use Google Ads in 2019 for your business and unveil some practical steps on how to increase your impact on this platform. Google is the #1 search engine on the market, reaching over 6 billion people. You can practically reach every single man or woman on our planet using Google’s search engine. Their Ads leverage the huge reach of Google and its partners, enabling you to reach your audience on all their favorite digital mediums. You can even target users when using an app or when watching a video on YouTube. People use Google all the time, both on desktop and mobile. They are looking for places to stay, things to buy, foods to eat, ideas for home decorations, you name it. Tap into the amazing reach of Google in 2019 and become visible to your audience. Google is the best vendor when it comes to targeting. It beats Facebook, Twitter, or any other programmatic vendor. You can target your customers in any buying stage. For instance, you can target users in the awareness stage right on Google search, then move on to google display and target customers in the early and late learn phases. You can then target users ready to make a purchase right on their smartphones or right watching a video on YouTube. The possibilities here are endless and limited only by your team’s creativity or lack of it. A huge benefit of Google Ads is that you get to maintain full control over your spent. Advertising on social media or programmatic is not as transparent as advertising on Google. You can see everything that happens inside of Google and optimize each campaign. Compared to other digital techniques, such as SEO, email marketing, or content creation, Google Ads is quite complex. Of course, it can also be very easy to understand in the beginning. However, if you want to progress, you need a well-educated team of experts by your side to help you leverage all the complex features inside AdWords. 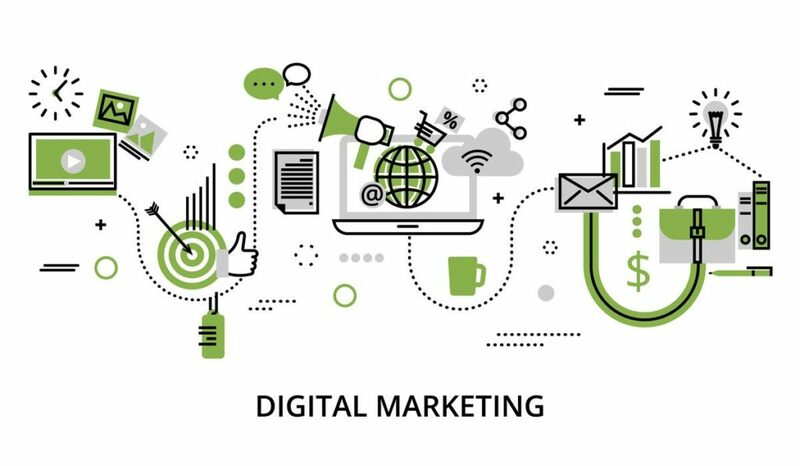 At Black Light Media, we make use of the most advanced and complex features offered by Google Ads to help grow your company and skyrocket your ROI. Measuring performance is a breeze with Analytics. Of course, setting it up and choosing the right dashboard for you might be a tedious task. However, once you have some dashboards in place and you know which reports to use and which metrics to look at, you will be able to see the results and come up with improvement ideas. Google Ads is perfect for startups or SMMs that want to get quick results. If you’ve just penetrated your market, you can’t wait one or two years until you start ranking on the first page of Google. SEO is not your priority in the beginning. Your priority should be social media marketing and PPC. With Google Ads, you can get high-quality traffic to your site in a matter of days. You can see sales pouring in and conversions skyrocket fast. That’s what PPC is good at: helping you grow your business and make money online by investing smartly. Here are some expert Adwords tips we like to use when managing our customers’ campaigns. You can use them to gain an unfair advantage over your customers. Of course, you can hire us and gain the peace of mind that you are leveraging the power of Google Ads in full. To increase the quality score of your keywords, decrease costs, and boost traffic to your pages, you need to do one crucial thing: optimize your landing page and make it relevant for the ads. The more relevant your page is to the end customer, the higher rankings you’ll get when bidding against your competition. The landing page should include the keywords used in the ad, should be consistent with the messaging on the ad and should also be eye-catchy to the end user. You need to use negative keywords a lot. You also need to optimize this list constantly. You need to check what search terms are not good for you as a business and add them to the negative keyword list. Bidding is crucial to decrease costs and increase conversions. You need to use manual bidding for important terms. We recommend you use manual bids for each keyword in particular. You need to look at the search loss rank, first page bids and at the average bids on the market to choose the right bidding for your keywords. All the above tips take time to implement. However, by implementing them correctly into your campaign, you will reduce costs while increasing conversion rates. Contact our experts at Black Light Media now and we’ll set up a winning PPC campaign that will exceed your expectations and enable you to make the most out of the huge power of Google Ads. PPC ads can show up anywhere, from search engines to social media platforms. They offer greater brand exposure and awareness because they appear prominently on a page. The technique allows users to display ads for their services when users enter relevant queries into search engines. In contrast to traditional forms of marketing, PPC is cost-efficient because it allows brands to pay a fee only when a user clicks their ad. Find out how your business can minimize costs and take advantage of opportunities by analyzing your previous campaigns. We utilize the keywords that will generate the most leads for your business. Our team conducts research on your industry and analyzes customer needs to determine relevant keywords. Get the most out of bid positioning while reaping significant financial gains. We will consistently optimize your landing pages and monitor its progress. This way, you can increase website traffic and keep your customers coming back for more. Win back clients that have expressed their interest in your brand. Our team will refine your strategy and target prospective customers that are one step away from making a purchase. We continue monitoring your website’s health by checking analytics data. Together, we will tweak your marketing plan for better performance over time. Generate qualified leads to your website with our PPC services. Email or call us today to schedule a free consultation.